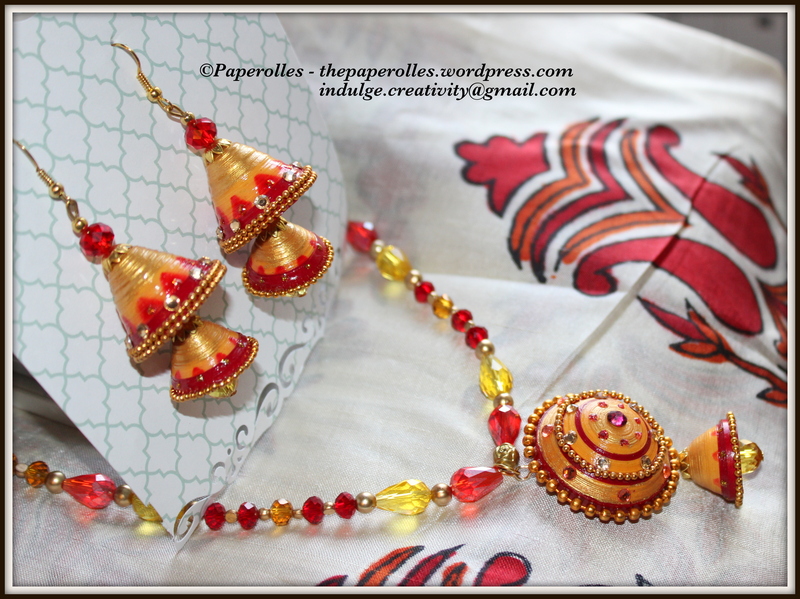 I received an order for a necklace set with a double layered Jhumka comprising colour combinations of golden yellow and maroon. 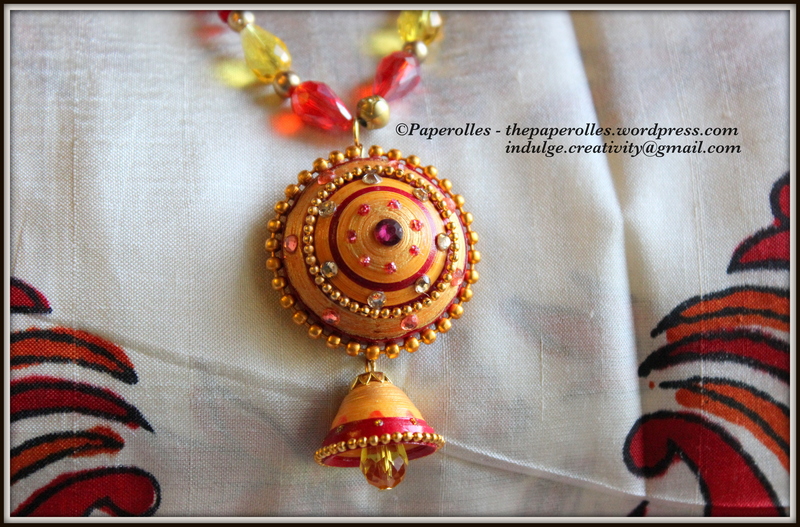 The dome shaped pendant is a challenging task in quilled jewellery due to the nature of the paper and its durability. It took me nearly 2 days to try out different combinations to make the pendant sturdy in order to hold its texture amidst rough use and to make it waterproof. 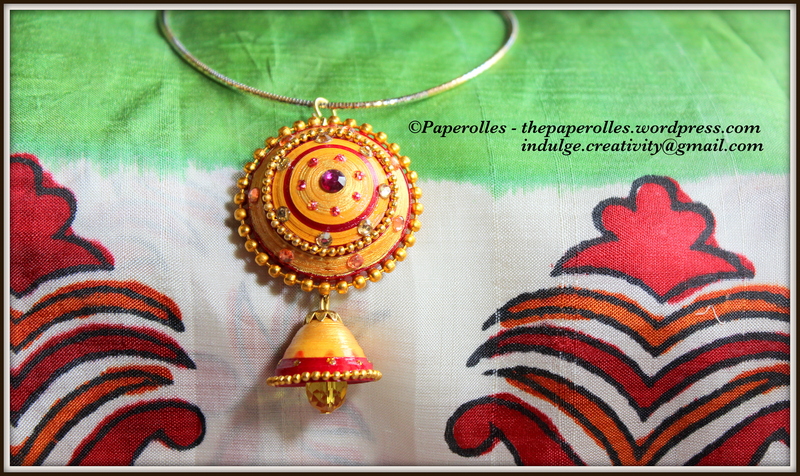 There is a small Jhumka attached to the bottom of the pendant to enhance its beauty for grand occasions. The outcome was amazing and the appreciation received for that piece made my day. 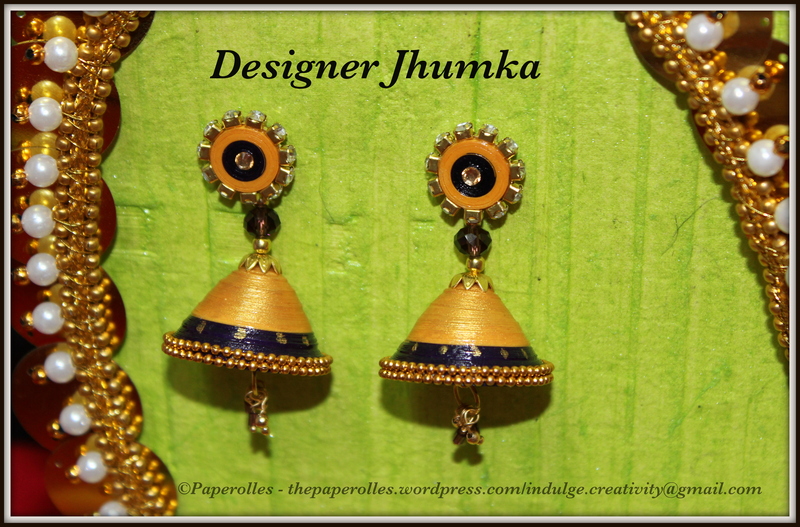 One more dome shaped designer Jhumka for display. 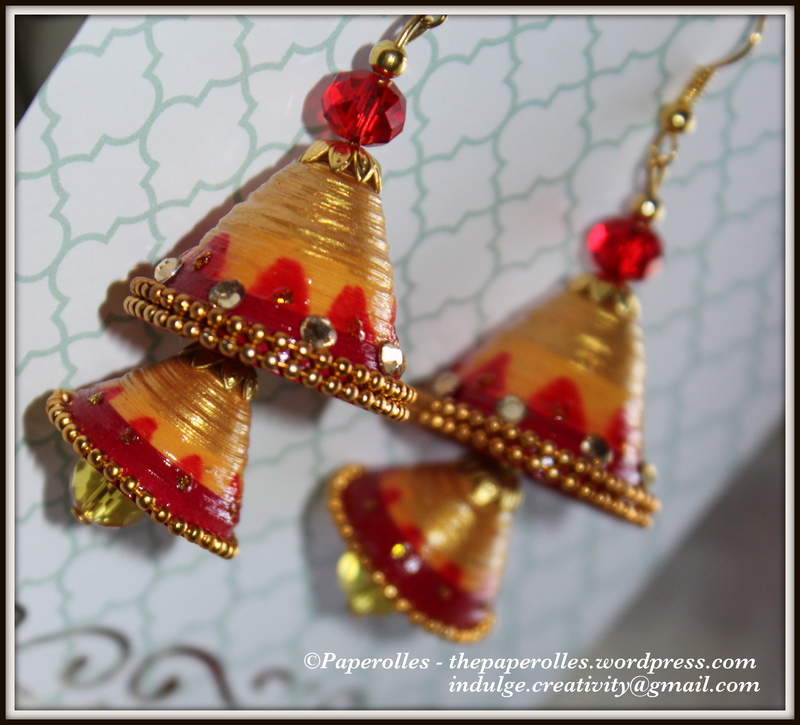 The variation from the earlier ones are that these earrings has a fusion of materials like multicoloured paper, crystal and metal to enhance the beauty of this earring. 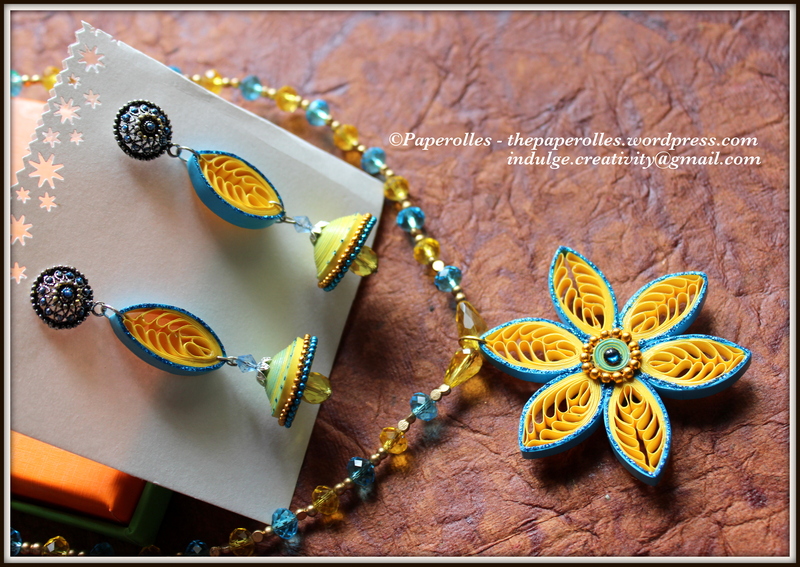 In continuation to my post on Wings of creativity here comes my other creation with vibrant colours of yellow and blue. The flower is quilled with comb technique and is decorated using glitters and crystals. 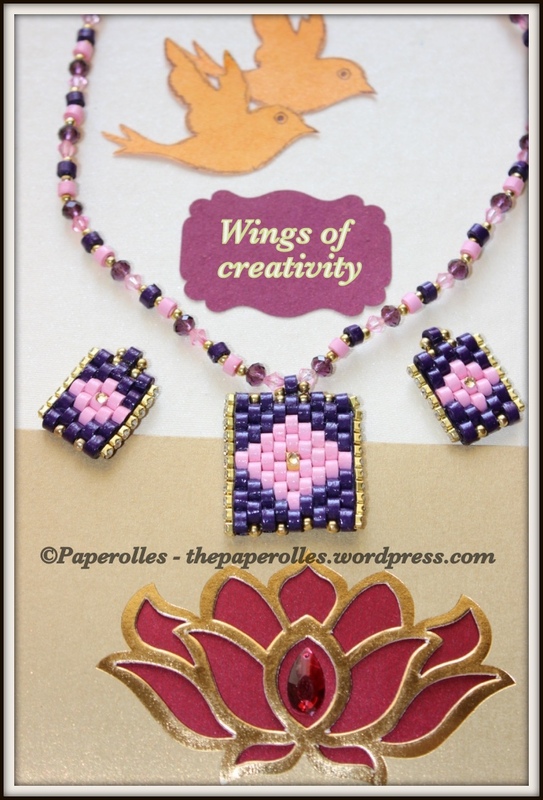 There is a fusion of metal, paper and crystals to add beauty to this piece.The jewelry can be created in many forms depending on the interest of the creator. 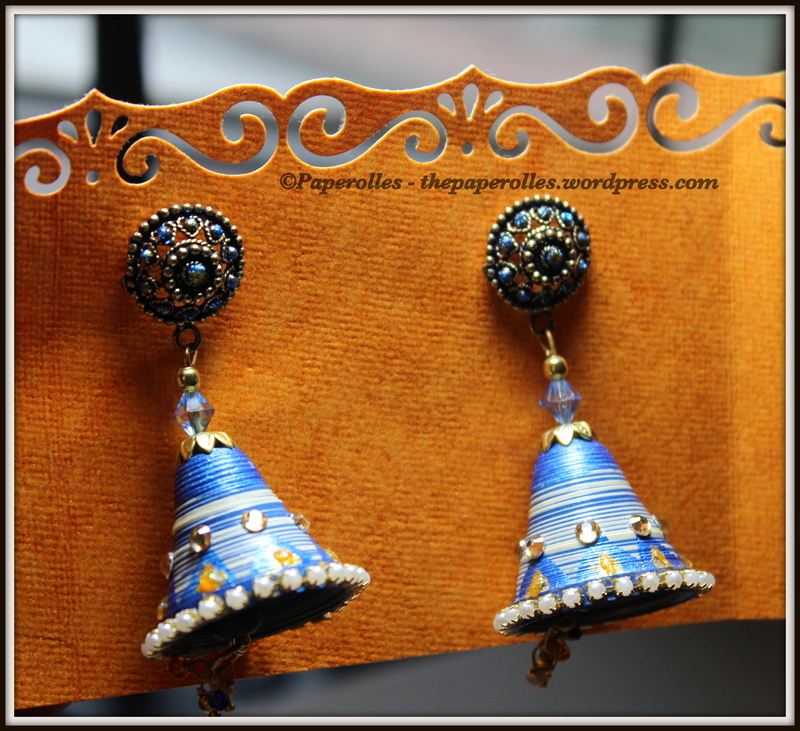 The earring has a mixture of petal and a tiny dome shaped jhumka with a dazzling dewdrop crystal. 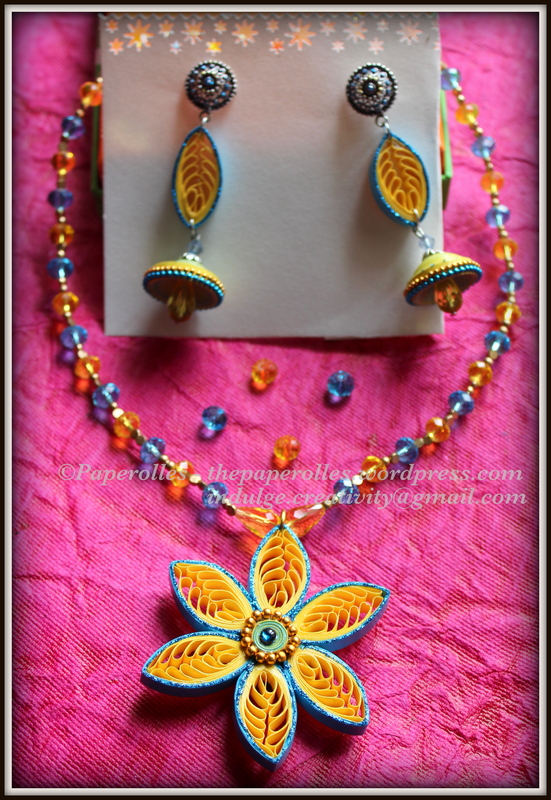 I was wondering what jewellery to create next after trying the dome shaped earrings, pendants, weaved and honey-comb coiled creations. 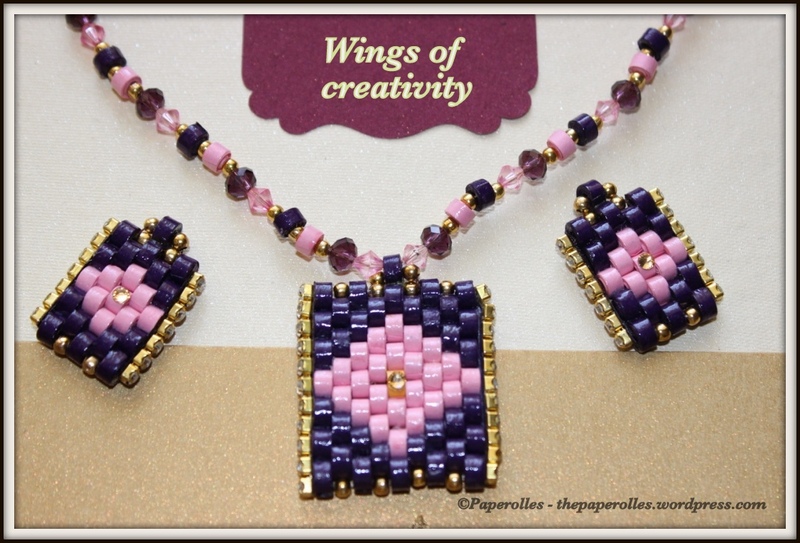 I happened to see a similar pattern when I was browsing the Internet and my creative mind got into action! Thanks for encouraging me with your likes and personal comments.. This was a custom order from my friend who prefers light weight jewellery. She bought this to wear as an accessory for her dance performance. She preferred gold and violet colours to go with her saree. Kindly contact me @ indulge.creativity@gmail.com for your orders and feedback.